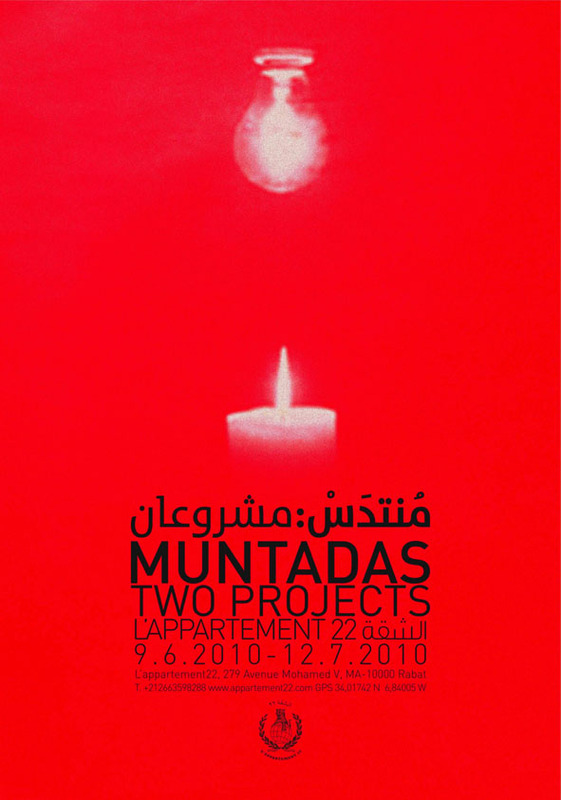 For his first solo exhibition in Morocco, Antoni Muntadas installs two works at L’appartement 22: “On Translation: Miedo/Jauf” (2007) and “Dialogue” (1979). “On Translation : Miedo/Jauf” (meaning fear) was filmed between Tarifa and Tangier in 2007. Muntadas began his project “On Translation” in 1995 and has explored issues of interpretation and translation internationally since then in more than thirty works. “On Translation: Miedo/Jauf” focuses on the border between Spain and Morocco. The film has been shown at the respective border cities as well as in the capitals of the two countries. In Morocco, the film was shown at the Cinematheque of Tangier, as well as in the larger public space of the television channel Al-Jazeera. The film uses found images and texts but primarily utilizes interviews, as Muntadas questions the inhabitants on both sides of the Straits of Gibraltar about the concept of fear. The artist considers fear both as an embodied psychological state and as an experience within a sociopolitical climate affected by issues of cross-cultural understanding. The other project that is exhibited is the historic work “Dialogue,” which was conceived in 1979. 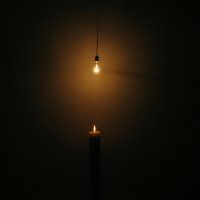 The project creates exchange and tension—if not translation—between electric light and candle fire. In the situation that is staged, Muntadas unsettles notions of the image with the rising flame and hanging light bulb, realized in larger dimensions than might be available in daily life. Muntadas’s projects can be situated at the limit of the real as he considers the translation and therefore transformation of images, as shaped by political context or transfiguration in the media. Antoni Muntadas: Born in Barcelona in 1942, has lived and worked in New York since 1971. Muntadas’s work explores questions of politics, communication, and the relation between private and public spaces. Using video and multimedia installations, he analyzes extant channels of information and the means by which they can alternately promulgate or censure ideas. By disorienting images, Muntadas inspires viewers to cast a critical lens on the meanings they receive, particularly in the media, as in his series Between The Frames (1983-1992), which drew attention to the multiple layers of meaning created at every level in the steps between creation and reception in the contemporary art world. From 1973 to 1975, Muntadas was a member of the Barcelona-based artist group the Grup de Treball. Since that time, his solo and collaborative works have been exhibited throughout the world, both in public spaces, such as television, billboards, and the internet, as well as in exhibitions including the Venice Biennale, Documentas VI and X in Kassel, and the Sao Paolo Biennial. His work has also been exhibited in spaces including the Museum of Modern Art (New York) and C.A.P.C. Musée d’Art Contemporain (Bordeaux). He is currently a professor at the Massachusetts Institute of Technology (Cambridge).